So what are we going to be covering? Last week we saw that not every problem or adversary is from the enemy. Our sins from the past (if swept under the rug) will resurface and God will use that as something to deal with in our lives. So we should deal with issues soon while they are small. But God still has a plan for us. It is not how you start, it is how you finish that will be remembered. This week we will begin to look at what I call the great divide. Here we will see the straw that broke the camels back. The stupid decision that Rehoboam the son of Solomon made that led to the division on the kingdom. Before we get there. Let me show you a piece of the timeline. 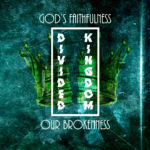 Remember we are looking at the divided kingdom. The way that Kings approaches this subject is they will flip back and forth between the southern and the northern kingdoms. He will tell one story then say meanwhile… in the other part of the the kingdom. Kind of like a soap opera. Never watched them myself but I remember my mom watching them. I prefer man soap operas (Marval Comics) So last week we were introduced to Jeroboam… may the people be great King 1 line 1 of the northern kingdom. Today we focus on Rehoboam … who sets the people at liberty. And we will see that He does exactly the opposite of the good idea of that but inevitably fulfills that in all the wrong ways. Jerry (NK1L1) is in the north, instituted by God with a promise of blessing for obedience. 18 King Rehoboam sent out Adoniram, who was in charge of forced labor, but all Israel stoned him to death. King Rehoboam, however, managed to get into his chariot and escape to Jerusalem. 19 So Israel has been in rebellion against the house of David to this day. Minus a couple of words this is the exact same account found in 2 Chronicles 10:1-11:4. It is almost word for word the same. So we will not read Chronicles this time. But I encourage you to make a footnote or a marker to Chronicles 10 in your Bible. Rehoboam went to Shechem, for all Israel had gone there to make him king. Rehoboam thought it was a done deal. He had no thought that he would have any opposition. He was raised as the only son of King Solomon. The Bible gives us no indication that Solomon had any other sons. No doubt he was raised with the very finest of things and given anything he desired. We can only imagine that he had a a huge sense of entitlement. Just like today entitlement breeds contempt. The Higher the entitlement the lower the level of respect. As believers we can fall into this same trap. Thinking we deserve something because we follow or serve God. This is a dangerous mindset to fall into. Scripture tells us what we deserve… It is death. The only one who did not derserve death was Jesus and Phil 2 says that He became obedient to the Father, even to death on the cross. Let us not ever loose the truth that we deserve nothing in fact we deserve death. It is only the grace of God that we receive anything from Him. Also in a very real sense I think Ray was resting on his dads laurals. Remember Jerry was given a prophecy but Solomon tried to stop God’s plan by trying to kill him. Now He returns to lead the people. 4 “Your father put a heavy yoke on us, but now lighten the harsh labor and the heavy yoke he put on us, and we will serve you.” 5 Rehoboam answered, “Go away for three days and then come back to me.” So the people went away. I want you to notice they did not come bearing arms ready for an insurrection. Instead they came to discuss terms for following Ray as king. We will actually see that God is gracious and gives us so many opportunities to make the right choices. It is His nature to give us what we need to succeed but we must make the most of what God gives us to do what he has called us to do. In fact I see 4 things that God gives Ray in this moment. Don’t ask for counsel unless you intend on heeding it. We need to be careful when we think we are more mature than we truly are. Experience and time can teach us things we would not learn any other way. Ray had already made up his mind. He related to these guys and he already saw them as those on His side. Don’t surround yourself with people who stroke your ego. This is a fascinating picture… we often think that Solomons Kingdom was perfect but here we see the curtain pulled back and we realize that Solomon in the later part of his reign looked more like Pharoah than He did David. Notice he levied heavy taxes on them, He forced labor and slavery, He whipped people with scourges. Bravado is born from insecurity. This chant or response the people give is the exact chant that is found 2 Samuel 20:1. Where David has to unite the kingdom after Absolom tried to over throw him and died in the process. 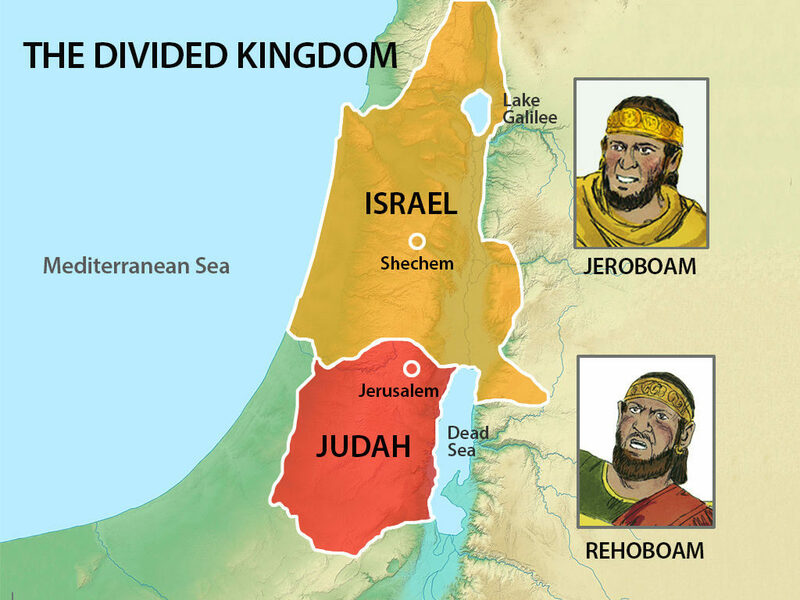 Here we see the battle lines drawn of Judah and Israel. This next verse is in my opionon some of the saddest part of the whole story. 18 King Rehoboam sent out Adoniram, who was in charge of forced labor, but all Israel stoned him to death. What He couldn’t accomplish with bravado, he tried with business as usual. To ignore a problem, is what leads to death. King Rehoboam, however, managed to get into his chariot and escape to Jerusalem. Instead of be broken over the death of the person he sent, He runs away. What he couldn’t accomplish with bravado and business as usual, he then runs from. Jesus says blessed are the peacemakers. The word of God is always the answer. And it always calls us to repentance and obedience. 23 “Say to Rehoboam son of Solomon king of Judah, to all Judah and Benjamin, and to the rest of the people, 24 ‘This is what the Lord says: Do not go up to fight against your brothers, the Israelites. Go home, every one of you, for this is my doing.’” So they obeyed the word of the Lord and went home again, as the Lord had ordered. The one who does not listen, finally listens to God. Jesus came to die for our disobedience, for our pride, for our insecurity, for our warring. But He calls us to put those things aside. to die to self. To take up or cross and follow Him. 27 So then, whoever eats the bread or drinks the cup of the Lord in an unworthy manner will be guilty of sinning against the body and blood of the Lord. 28 Everyone ought to examine themselves before they eat of the bread and drink from the cup. 29 For those who eat and drink without discerning the body of Christ eat and drink judgment on themselves.30 That is why many among you are weak and sick, and a number of you have fallen asleep. 31 But if we were more discerning with regard to ourselves, we would not come under such judgment. 32 Nevertheless, when we are judged in this way by the Lord, we are being disciplined so that we will not be finally condemned with the world.